Money issues can be difficult for anybody, but there is nothing harder than trying to manage your cash when you’ve got a family to care for. One minute your finances are all looking OK, and then your kids need new school shoes, that money for a school trip, and your roof has decided that now is the time for it to start leaking. Why does everything have to happen at the same time? 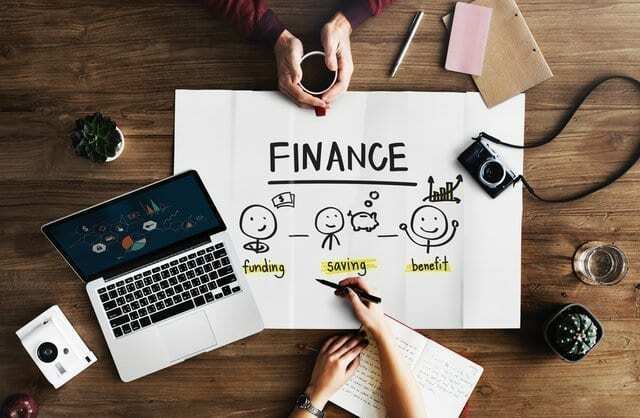 However, no matter what occurs, there are some financial tips that could keep your family afloat, and we’ve noted down 4 Finance Tips For Families here. Budgeting is no longer a dirty word, and it doesn’t mean that you have to sit there for hours going through a purse of old receipts, trying to figure out what you’ve spent. In fact, there are plenty of budgeting apps out there that could save you a lot of time, and it’s certainly something that is worth checking out if you need a bit of a hand with managing your money. Sometimes, just seeing where you’re overspending is what you need to get your finances back in order. If you’re a parent looking to cut the costs, free days out are your best friend. We often think that we have to spend a lot of cash in order to make sure that our kids have fun, but there are so many free events and days out now, that you simply don’t need to do it. If all else fails, a sunny day always calls for a picnic in the park, which won’t put you out a lot of cash at all. Think wisely here, and always be on the lookout for those free options near you. As a parent, it is pretty difficult to pay for things in one lump sum, and the likelihood is that you just won’t have the cash to do so. Luckily, a lot of companies will allow you to pay things off over a period of time, and this makes it a lot easier for you to manage your finances without getting into huge amounts of debt. Companies like Smile Car Finance may be useful if you’re thinking of buying a new car, but there really are options out there for whatever you need to pay out for. Whatever it is that you’re buying, there are guaranteed to be a few discount codes out there that could help you to cut the costs. Whether you’re using physical vouchers with your shopping, or you prefer to scan the web for online options, there are plenty of ways for you to save around 20% on what it is that you’re buying. Don’t purchase anything before you’ve looked on a search engine – or you’ve used a plugin – to see exactly what is out there in terms of savings. So, if you’re a parent looking for some finance tips, keep these 4 simple things in mind!